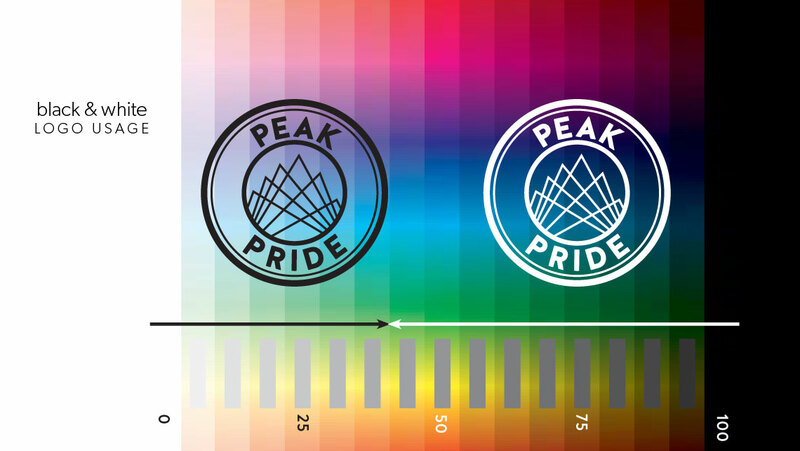 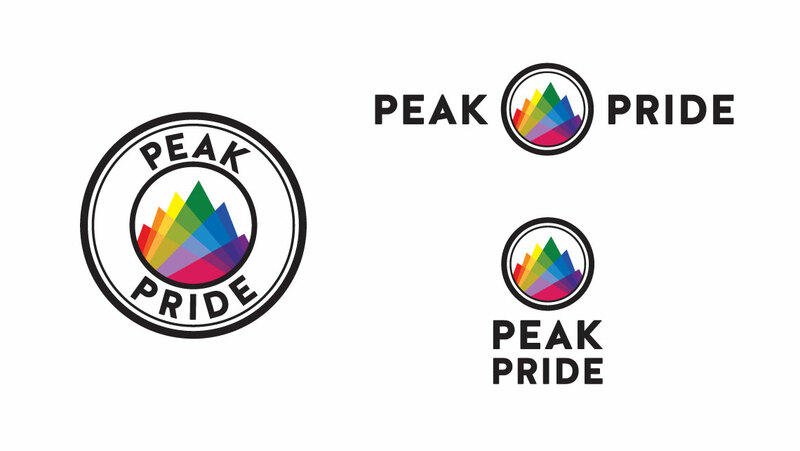 Peak Pride needed a modern logo and visual identity that could represent the diversity, inclusivity and community of a LGBTQ2+ winter mountaintop event and be versatile enough to be used in various media. 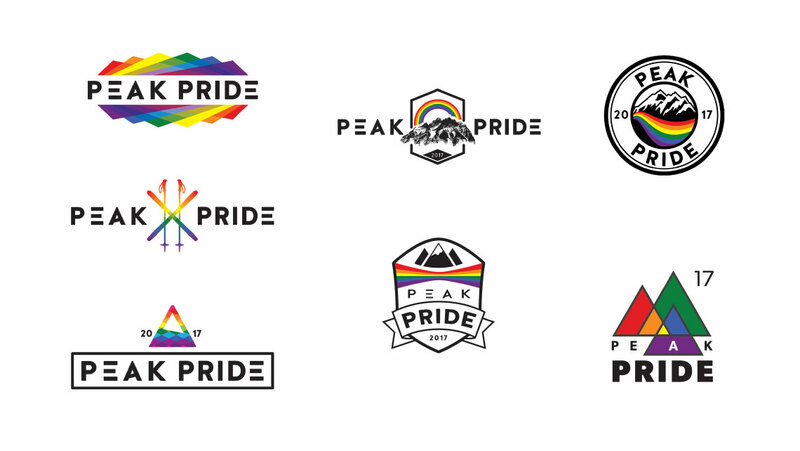 The design solution incorporated the colours of the rainbow into mountain peaks within a badge-style logo that could easily be applied to merchandise and promotional pieces. 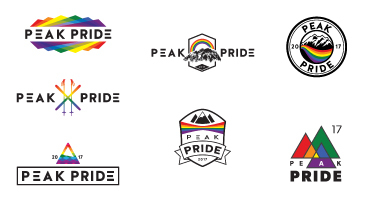 The colours of the top peaks are of course the rainbow colours from the pride flag, and the various other hues represent the diveristy of the greater community. 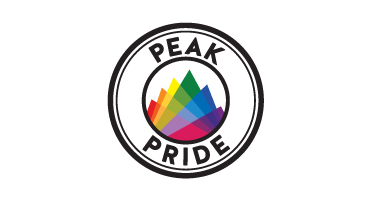 The most dominant peaks are those of green and yellow which in the pride flag represent the environment and sunshine, which are two of the things that are associated with mountains and skiing/ snowboarding. 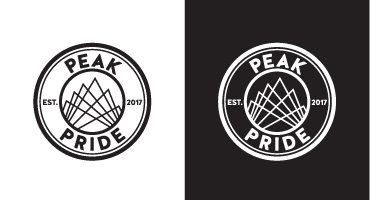 The fonts were kept the same throughout; a slightly rounded sans-serif font was used for its perceived neutrality, modernity, friendliness, and legibility.